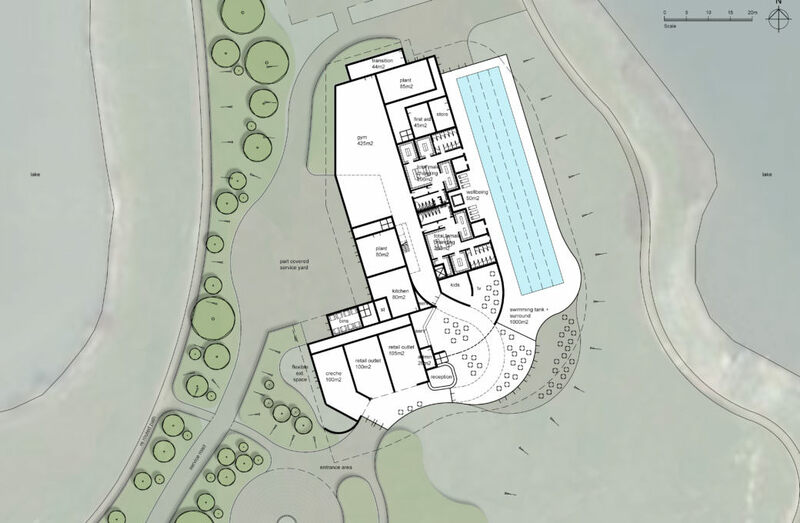 A feasibility study has been undertaken for a new national multi-sports centre in Milton Keynes. 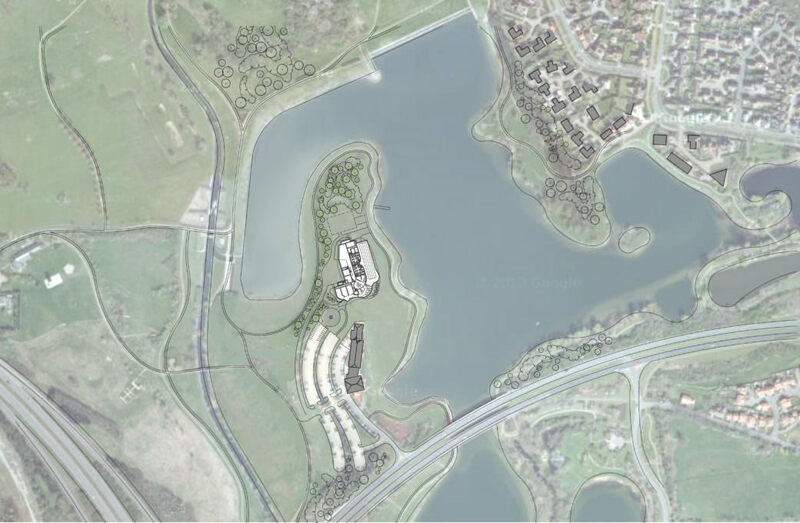 Located on a peninsular projecting into Caldecotte North Lake, the scheme has been designed to sit above the flood plain and to integrate naturally into the existing topography. The majority of the proposed building is earth sheltered benefiting from the airtight and insulating properties of the surrounding ground. This arrangement limits the visual impact the centre has on the immediate context and from more distant views, whilst providing private internal areas for treatment rooms and changing areas. Large glazed roof lights allow light into the centre of the building and are the only indication of any built form when the site is viewed from the north and west. The majority of the roof is finished with an intensive / extensive green roof system to help integrate the centre with the surrounding areas of established vegetation. 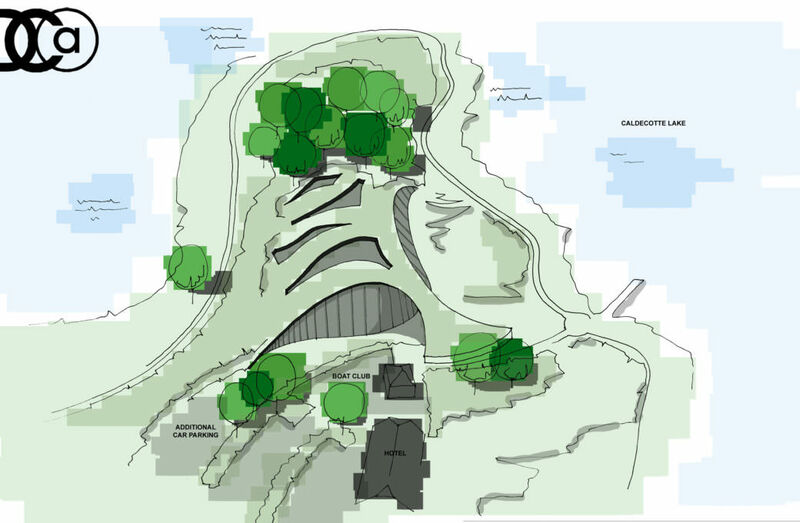 Part of the roof structure reaches over the external route between the parking and the lake creating a gateway structure framing the view of the lake as the centre is approached. 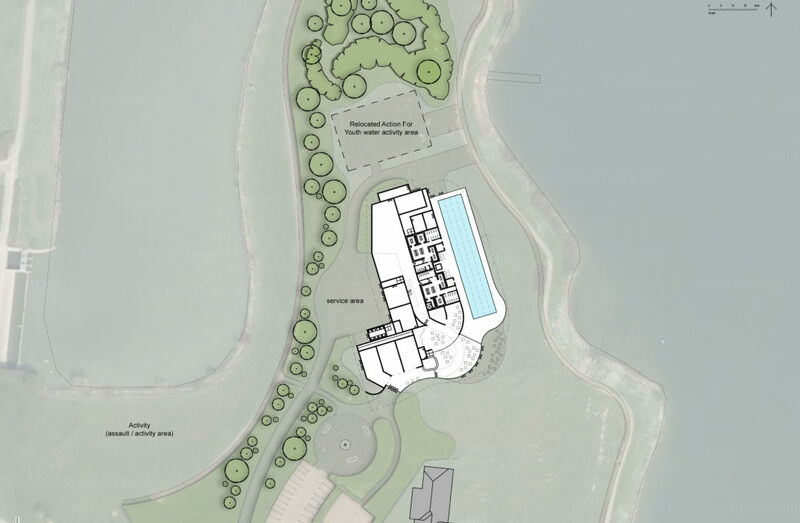 The east elevation consists of large areas of glazing offering views out over the lake and a controlled level of solar gain which will be an integral part of the building environmental management strategy and assist in achieving a highly sustainable energy efficient scheme. Other low energy and passive technologies will be used to minimise the carbon footprint. The development offers a world class centre, including a number of facilities available to the public. The scheme will add an amazing new sporting facility to Milton Keynes – adding to its ‘Sporting City’ credentials.